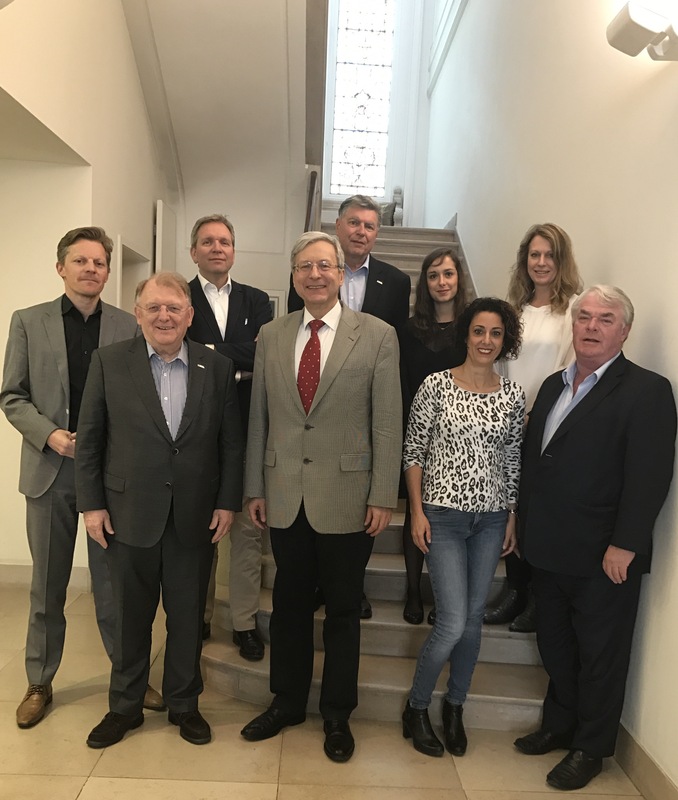 EKHA members and EKHA Board would like to thank very much Prof. Andrzej Wiecek (pictured below, centre) for his engagement and commitment as EKHA Board member in his capacity as ERA-EDTA President, and wish him all the best for the future. EKHA Board is glad to welcome Prof. Carmine Zoccali, following his entry into function as President of ERA-EDTA on the 5th of June, and look forward to continuing our joint work for the improvement of kidney health in Europe. The review “Reducing the costs of chronic kidney disease while delivering quality health care: a call to action” written on behalf of EKHA was published in Nature Reviews Nephrology (NRN) on the 30th of May. The paper was co-authored by EKHA Chairman Prof. Raymond Vanholder and past Chairman Prof. Norbert Lameire, Prof. Lieven Annemans, Prof. Edwina Brown, Prof. Ron Gansevoort, Prof. Judith J. Gout-Zwart, Prof. Rachael L. Morton, Prof. Rainer Oberbauer, Prof. Maarten J. Postma, Prof. Marcello Tonelli, Prof. Wim Van Biesen and ERA-EDTA President-elect Prof. Carmine Zoccali. Abstract: The treatment of chronic kidney disease (CKD) and of end-stage renal disease (ESRD) imposes substantial societal costs. Expenditure is highest for renal replacement therapy (RRT), especially in-hospital haemodialysis. Redirection towards less expensive forms of RRT (peritoneal dialysis, home haemodialysis) or kidney transplantation should decrease financial pressure. However, costs for CKD are not limited to RRT, but also include nonrenal health-care costs, costs not related to health care, and costs for patients with CKD who are not yet receiving RRT. Even if patients with CKD or ESRD could be given the least expensive therapies, costs would decrease only marginally. We therefore propose a consistent and sustainable approach focusing on prevention. Before a preventive strategy is favoured, however, authorities should carefully analyse the cost to benefit ratio of each strategy. Primary prevention of CKD is more important than secondary prevention, as many other related chronic diseases, such as diabetes mellitus, hypertension, cardiovascular disease, liver disease, cancer, and pulmonary disorders could also be prevented. Primary prevention largely consists of lifestyle changes that will reduce global societal costs and, more importantly, result in a healthy, active, and long-lived population. Nephrologists need to collaborate closely with other sectors and governments, to reach these aims. The official online version of the paper is available here.